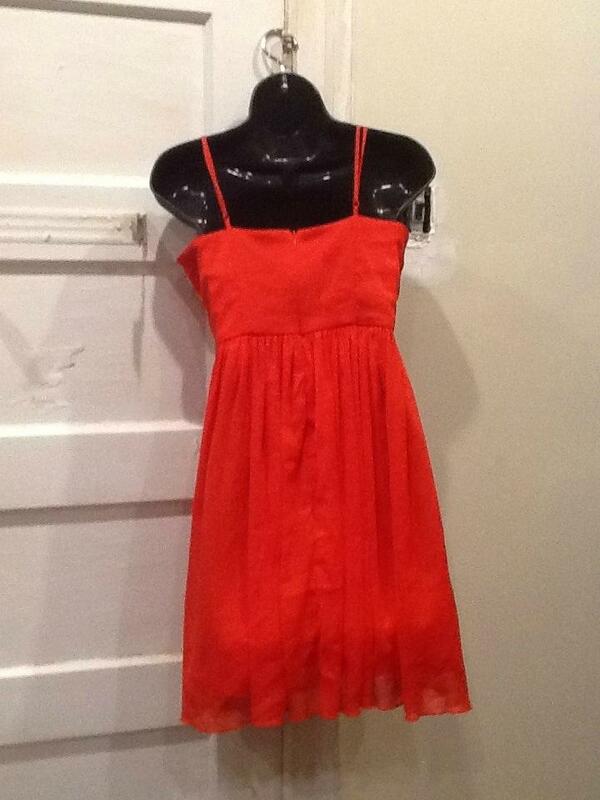 Forever 21 Red Spaghetti strap flowy dress with flower in front on left side. Zipper closure in back middle of dress. Lined. Size Medium.